On March 17, 2018 NAMI Michigan held its Second Annual Awards Gala, honoring individuals and organizations dedicated to improving the lives of everyone affected by mental illness. NAMI (National Alliance on Mental Illness) is the nation’s largest grassroots mental health organization dedicated to building better lives for the millions of Americans affected by mental illness. Sarah Scantamburlo, PA, won the award for “Clinical Professional”, demonstrating exemplary efforts to improve the lives of the clients she serves. Sarah was recently out on medical leave. While at home recovering, she worked via Telemedicine to ensure her patients’ services were not interrupted. Sarah also donates her lunch hours, evenings and weekends to educate the community and fight the stigma of mental illness and substance use disorders. Lynette Johnson and George Fettig won the award for “Media,” demonstrating a commitment to educating the public on the importance of Mental Health Awareness and stigma reduction. Lynette and George, Certified Peer Support Specialists (CPSS), write and distribute the Empowerment Zone Newsletter to CNS Healthcare consumers and interested community members. The newsletter connects consumers to CNS Healthcare and the community as well as offering support and inspiration on the journey to wellness. 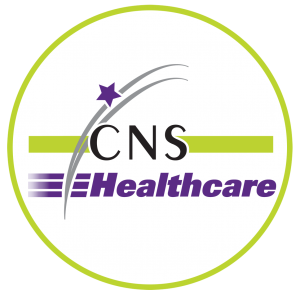 CNS Healthcare is proud of every one of its 250+ employees. Daily, each one of you positively impacts the lives of people with mental health or substance abuse disorders. CNS Healthcare is honored to be recognized, along with many other tremendous organizations dedicated serving the community.